The remix of Riders On the Storm (Cube) by Deep FM has been included in the compilation Teaser Magazine vol. 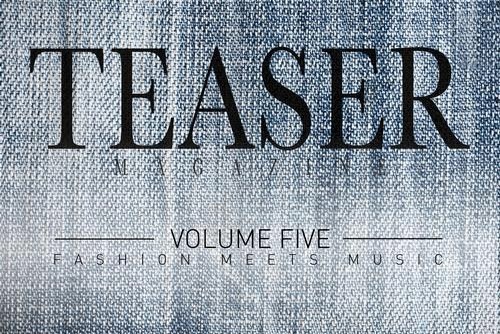 5 (Fashion meets Music). Deep FM (Lorenzo al Dino & David Crops) received few months ago a very special request: to make a remix of the song Riders on the Storm (Cube). The result was so, that the track is becoming an indispensable for compilations of Electronic Music around Europe. In addition to Teaser Magazine vol.5 (Fashion meets Music), Riders On the Storm is also included on the compilation Mountain Deluxe St. Moritz Edition, released by Royal Plastic. >> Listen and buy online Riders On the Storm (Deep Fm remix) on Royal Plastic Online Shop. Etiquetas: Compilations , David Crops , Deep FM , Lorenzo al Dino , Mountain Deluxe , remix , Riders On the Storm , Singles , Yes!